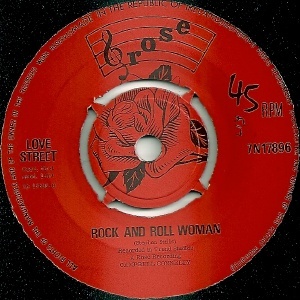 The Rose record label was owned by a woman in County Donegal. For a (brief) period it was manufactured and distributed by Pye Records, resulting in a situation similar to that of Target Records, i.e. 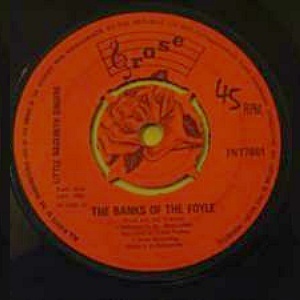 Irish releases were on the Rose label and British equivalent releases on the Pye label. And like Target, these Rose releases used the Pye catalogue number, making it extremely difficult now to find out how many records were actually released on Rose. However, it is believed to have been only a handful, and the relationship with Pye soon ended. I believe there are also Rose releases which pre-date the association with Pye and these presumably have a different cataloging system. As I have never seen one, I cannot comment on this any further. Update: A single from 1971 bearing the catalogue number ROS.14 popped up on ebay in 2016. It's reasonable to assume that there must be at least 14 Rose singles. The label had an extremely attractive design. If anyone can send me a better quality scan than the one blelow, please do.